On Tuesday night, the Temple Owls will take on the Belmont Bruins in the second game of the NCAA Tournament in Dayton, Ohio. Both of these teams were on the bubble and barely got in as at-large teams. Temple finished the season with a 23-9 record and Belmont finished with a 26-5 record. Temple is coming off an 80-74 loss in the first round of their conference tournament to Wichita St. The Owls led by 2 at the half but were outscored 45-37 in the 2nd frame. Shizz Alston Jr. led the way for the Owls with 20 points on 7 of 18 shooting to go with 3 assists and a rebound. 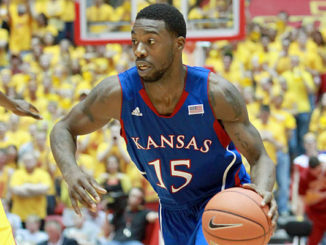 Quinton Rose scored 17 points on 6 of 16 shooting and grabbed 6 rebounds. Ernest Aflakpui tallied 16 points on 6 of 10 shooting to go with a whopping 19 rebounds which led the team. Nate Pierre-Louis added 11 points, 5 rebounds, and 3 assists. 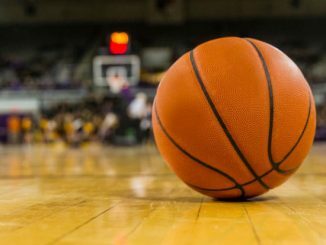 Belmont is coming off a 77-65 loss to Ja Morant and Murray State in the championship game of their conference tournament. The Bruins led by 5 at halftime but gave up 51 points in the 2nd half en route to the loss. Dylan Windler led the way with 17 points on 7 of 15 shooting, 12 rebounds, and 5 assists, all of which were a team high. Kevin McClain scored 14 points on 5 of 17 shooting to go with 7 rebounds and 4 assists. Grayson Murphy added 10 points on 4 of 9 shooting. Temple is led by Shizz Alston Jr., who is averaging 19.7 points per game and a team-high 5 assists. Quinton Rose is scoring 16.5 points a game to go with 3.8 rebounds and 2.5 assists. Nate Pierre-Louis is averaging 13.3 points and 5.7 rebounds per game. Ernest Aflakpui is the leading rebounder with 7 a game to go with 5.9 points per game. JP Moorman II is the leading 3-point shooter at 40.5% but is averaging just 5.8 points per game. Temple is averaging 74.8 points per game on just 43.9% shooting from the field. Belmont is led by Dylan Windler, who is averaging 21.4 points per game to go with a team-high 10.7 rebounds per game and 2.6 assists. Windler is also the leading 3-point shooter at 43%. Kevin McClain is scoring 16.3 points a game to go with 3.5 rebounds and 4.1 assists. Nick Muszynski is averaging 14.9 points and 5.9 rebounds per contest. Grayson Murphy is the leading assister with 6.6 a game to go with 9.8 points. 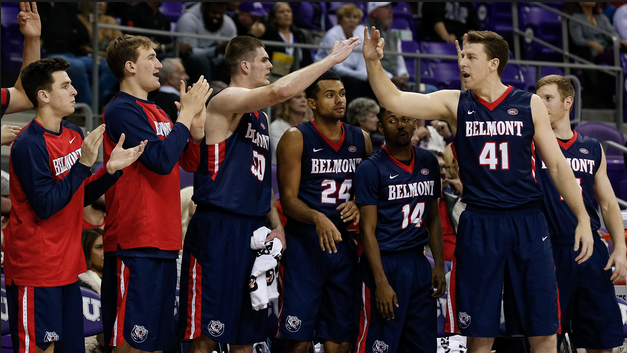 Belmont is averaging 87.4 points a game on an incredible 49.9% shooting from the field. Belmont comes in at -3.5. Temple had a bad loss in the first round of their conference tournament while Belmont won 14 straight games before losing to Murray St in the championship. Belmont is one of the best offensive teams in the country and is outstanding at shooting the ball, especially from deep. Temple is not the greatest defensive teams and will run into some problems stopping the Bruins in this one. Look for Windler to have a monster game in this one en route to a Belmont win. Take Belmont -3.5.